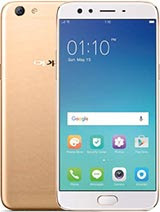 Oppo has announced yet another smartphone called Oppo F3, after releasing Oppo F3 Plus last two months. Oppo F3 and F3 Plus shared almost the same specifications and features. Oppo F3 came with Dual front cameras 16MP and 8MP with a single Led Flash, while there's a single 13megapixels back camera with a single Led Flash too. Have a look at the full specifications as well as the price of Oppo F3 below. Oppo F3 release date. Oppo F3 specifications. Oppo F3 price in India, USA, Nigeria, China.